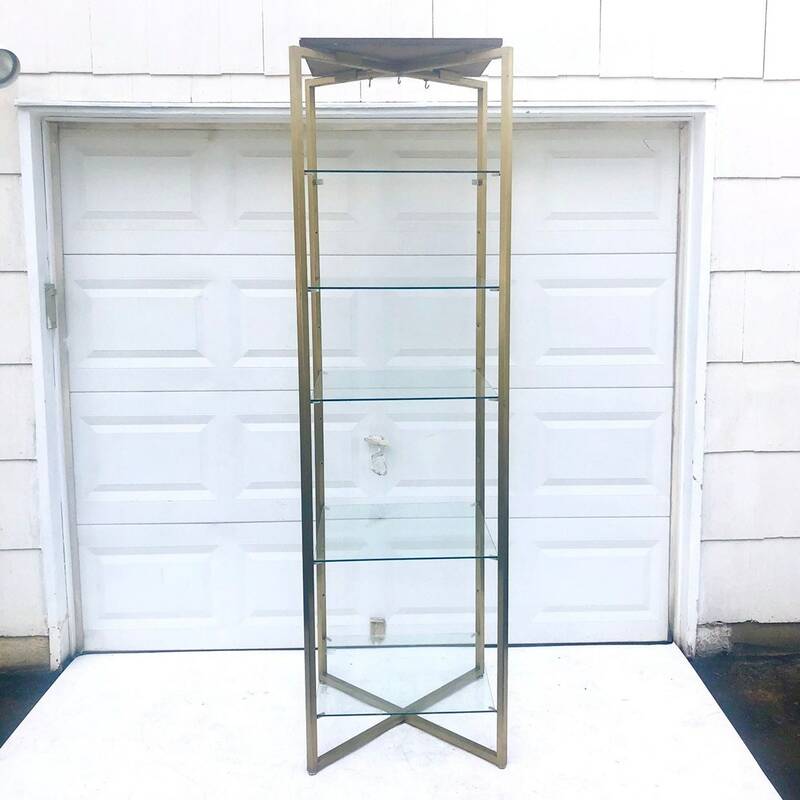 This impressive mid-century style display shelf features brass finish folding frame and spacious glass shelves. 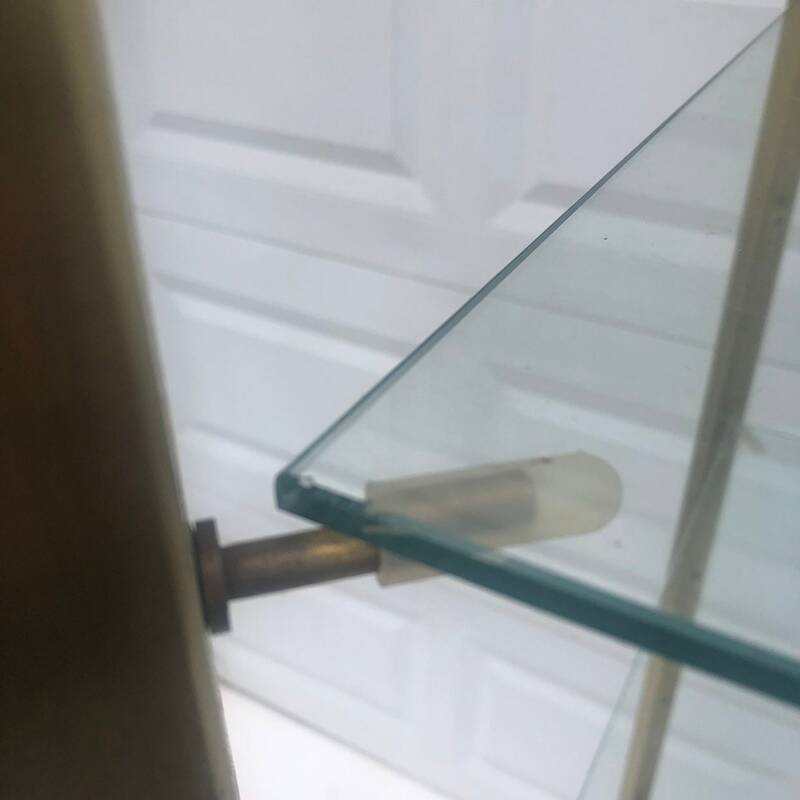 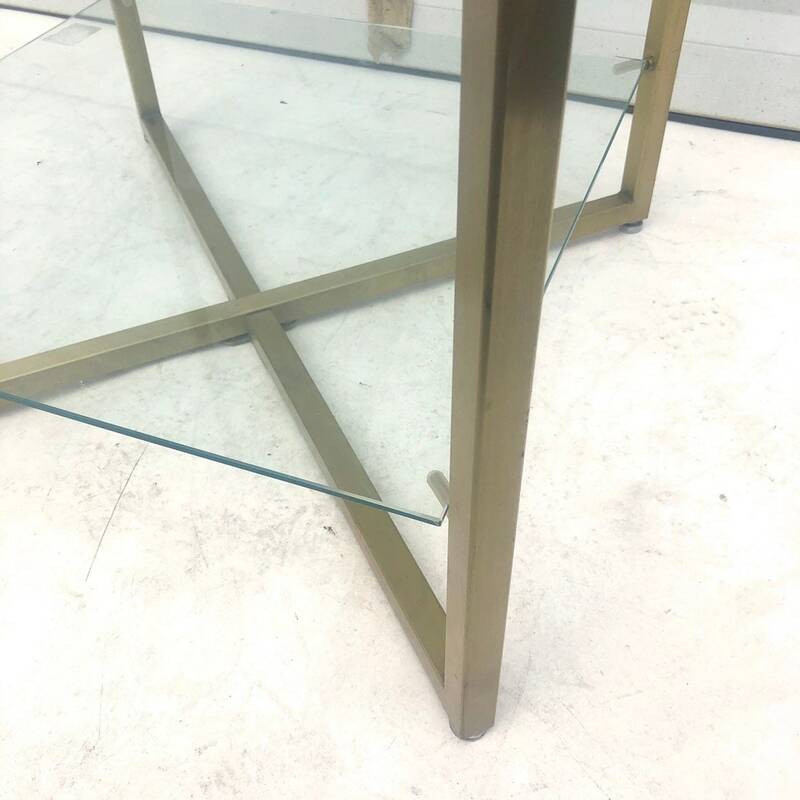 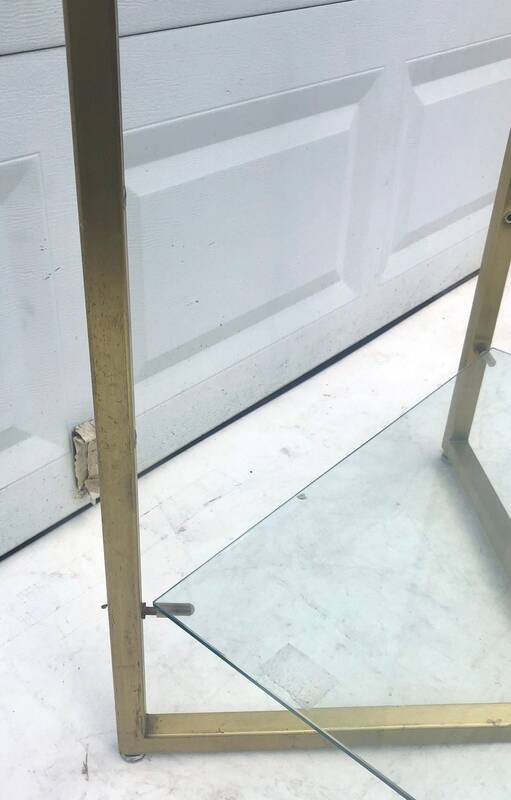 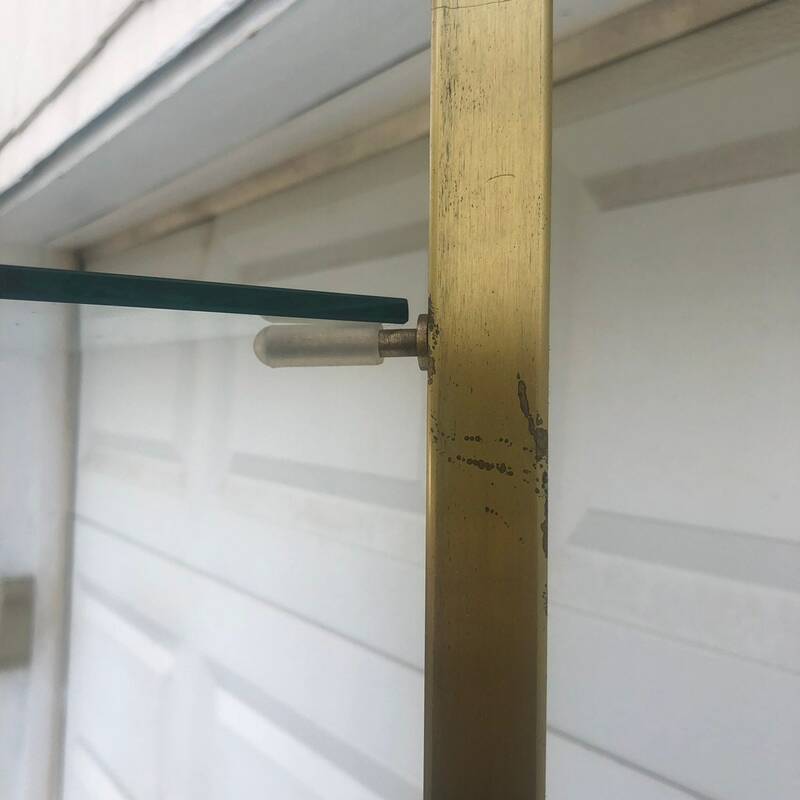 The unique design allows the piece to fold flat for transportation or easy storage, also providing upper hooks for hanging display at the top. 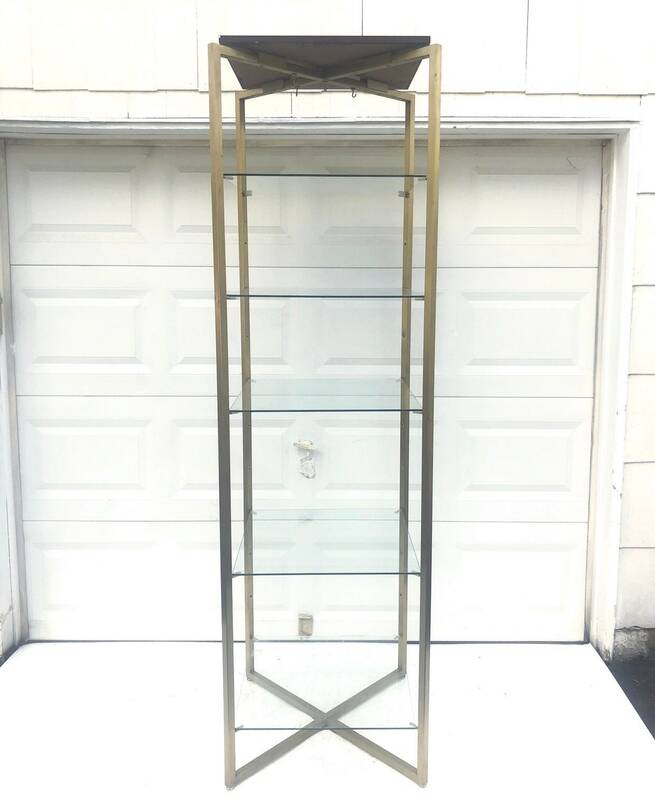 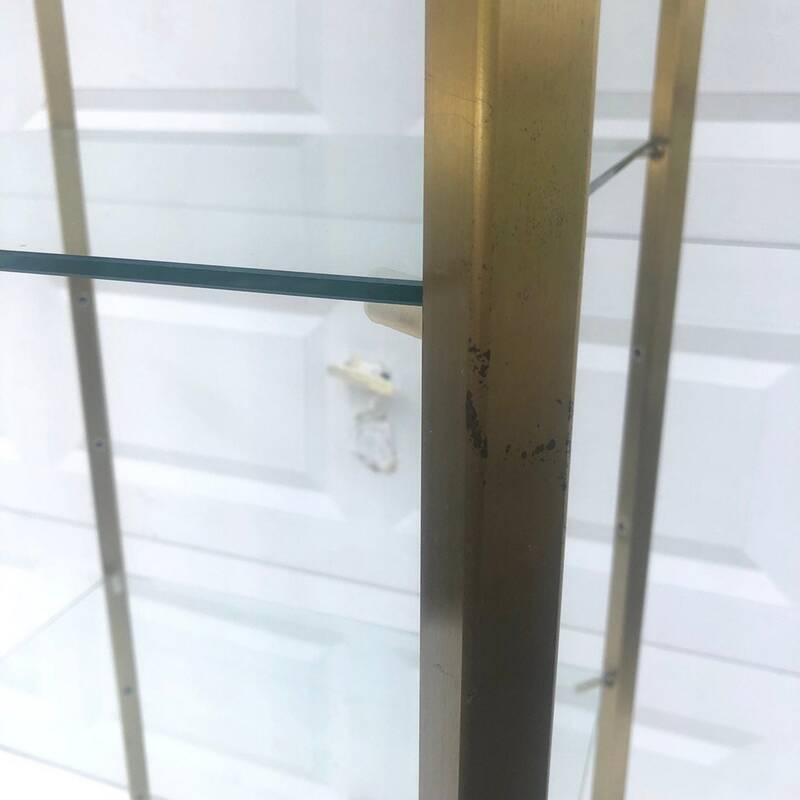 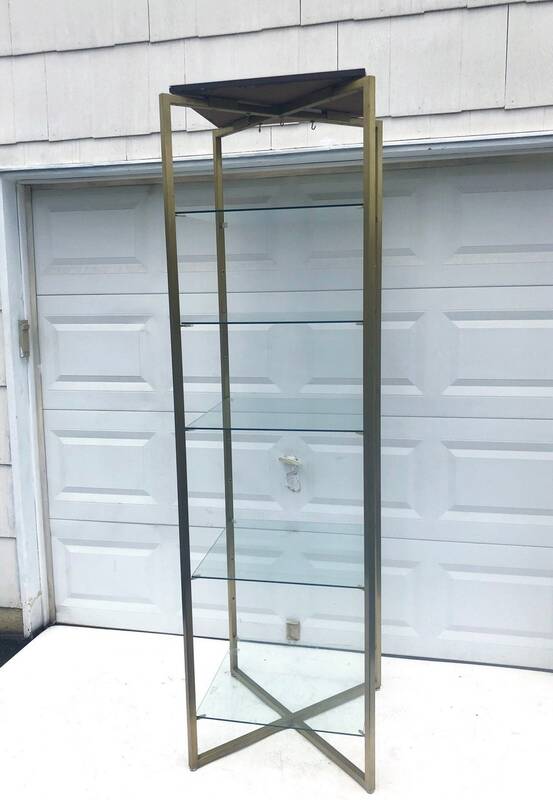 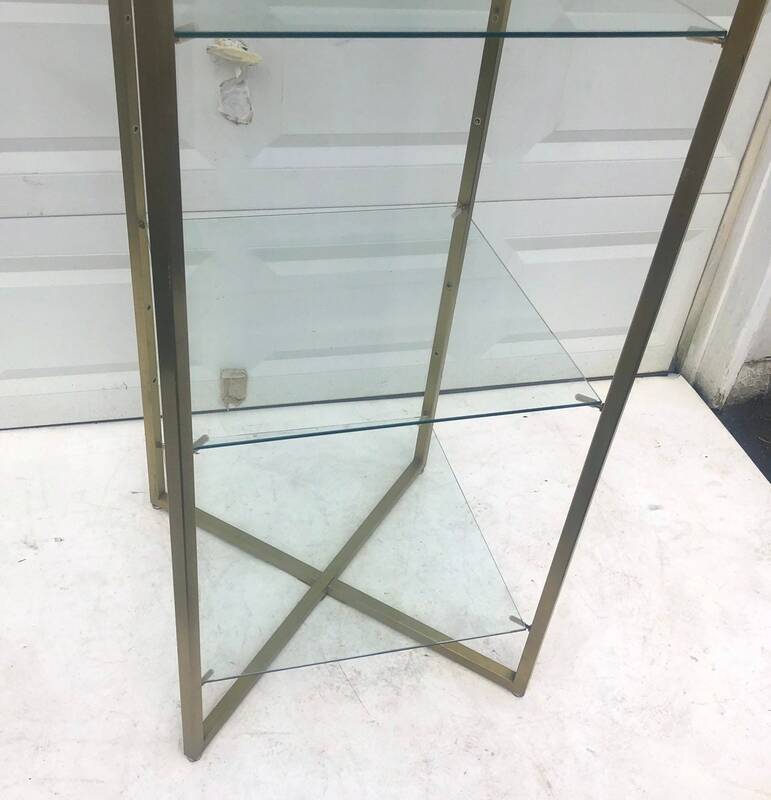 This quality vintage shelf unit was purchased from a Biddle & Biddle jewelry store and makes a versatile display or storage etagere for home or shop use. 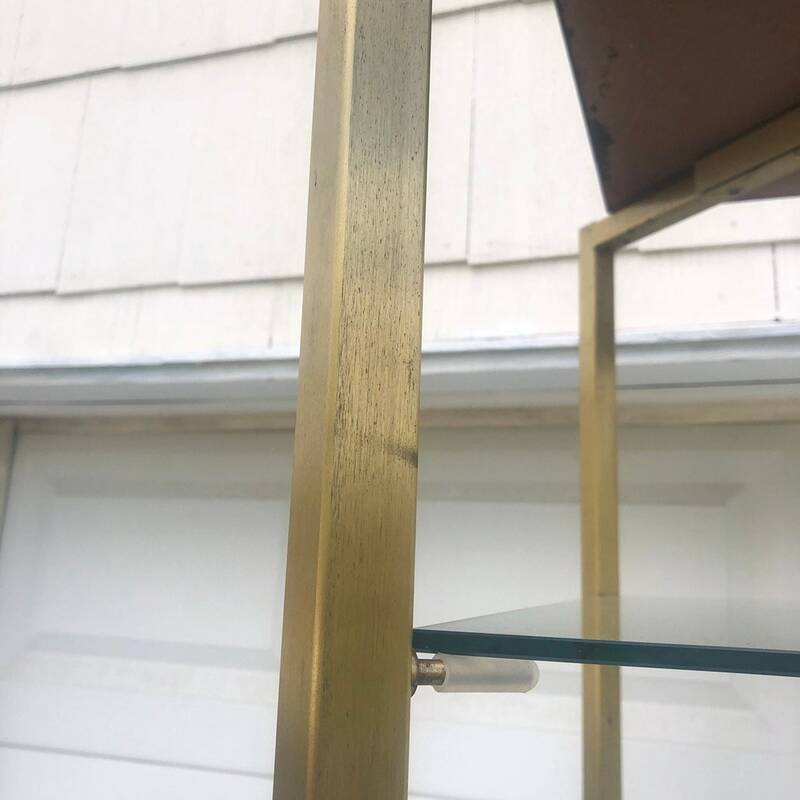 Condition: age appropriate wear, vintage finish worn/scuffed/scratched/oxidized in areas, some scuffs/wear to glass/wood topper, see photos for details.